Recent deaths, assaults and reports of abuse of area children leave us asking what can be done to prevent these tragedies. One Great Falls-based project, organized with help from the Kiwanis Club of Great Falls, called Toby’s House, is working to help provide an answer. Toby’s House is a proposed crisis nursery in Great Falls. The Electric City has shelter for women and children who are victims of domestic abuse, the YWCA Mercy Home, and it has a Children’s Receiving Home for kids removed by the state from dangerous living situations. Backers of Toby’s House say a crisis nursery would fill an important niche. 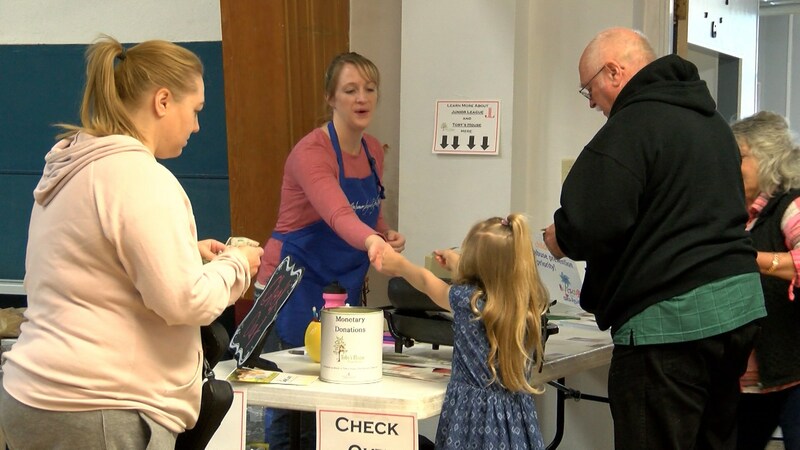 “It’s something completely different from the other two,” said Jo-Viviane Jones, family health services division manager for the Cascade-Great Falls City-County Health Department. She said the crisis nursery would provide up to 72 hours of emergency and respite relief for adults in various situations — a parent suffering extreme stress, a mother going to a job interview, or an adult raising three children who “just can’t handle it anymore.” Infants and toddlers are particularly susceptible to physical assaults and parental neglect. Toby’s House would give parents in crisis a chance to cool off and perhaps head off a tragedy. Jones said it would apply to grandchildren and fathers raising youngsters, and to other caregivers. “It is filling a gap,” she said. The idea for Toby’s House originated after of the death of October Perez, 2, who was brutally killed by her mother’s live-in boyfriend in 2011. At a seminar, Jones talked to an expert who suggested she visit Spokane, which started a crisis nursery four decades ago after the deaths of several young children. The Early Childhood Coalition based in Great Falls sent Jones to Spokane to see how it works. Great Falls residents picked up everything from old Christmas decorations to tiki lanterns today as the Junior League of Great Falls held a rummage sale to benefit Toby’s House. The Junior League of Great Falls has been empowering women and organizations in the community through volunteer work and fundraisers since 1925. The sale’s proceeds from the sale goes toward the completion of the Toby House Crisis Nursery, a safe secure place for families and people needing temporary lodging for young children that hopes to reduce domestic violence in Cascade County. Community members of all ages donated at the sale, including two Valley View Elementary students. “The turnout has been incredible; it was just epic this morning when two little girls came in with the very first donation, they had saved their donations and they were in grade school and had totaled up $107 and I just think what a thoughtful way for them to be participating,” said Toby’s House Crisis Nursery Chairman Leesha Ford. Though it is difficult to find hope in Great Falls’ massive child abuse problem, it is also difficult to feel helpless. Efforts are underway by Great Falls Kiwanis Club, the Early Childhood Coalition, the Dandelion Foundation and more to put real programs in place that will prevent abuse from ever happening. Right now, the coalition is just in the planning stages, but hopes to open a crisis nursery in the next couple of years that would be available to parents for up to 72 hours, according to Leesha Ford, president of Great Falls Kiwanis and a member of the coalition. The crisis nursery will be called Toby’s House, in memory of October Perez, who was killed by her mother’s live-in boyfriend in 2011.